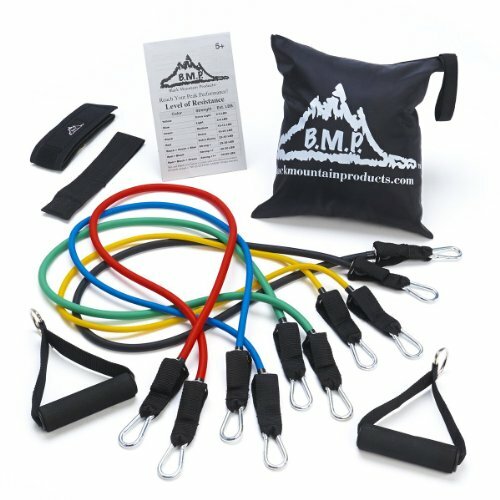 Adaptable for multiple fitness levels, and designed to last, Black Mountain’s resistance bands are lightweight and easily portable. Muscle mass loss is a consequence of a sedentary lifestyle. Strength training helps build lean muscle, creating a stronger, toned body. A manufacturer’s warranty accompanies every item from Black Mountain Products for the lifetime of the product. Easily portable and lightweight, perfect for taking with you in your suitcase on business trips. Start exercising from anywhere on the go to strengthen all areas of your body, increasing the intensity of some of your familiar strength training moves! We recommend using safety glasses with this product. 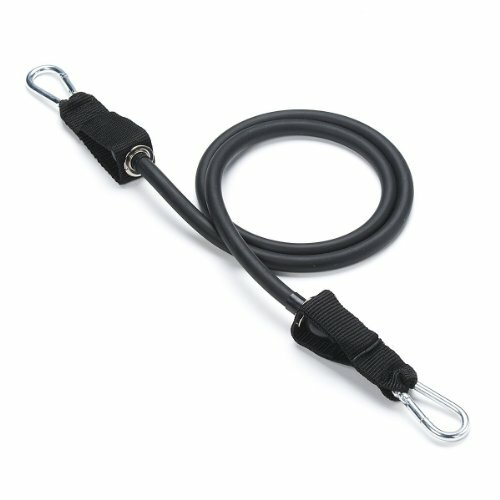 Includes door anchor, exercise chart, carry bag, ankle strap and starter guide. Exercise with ease on your next executive business trip!